Location. 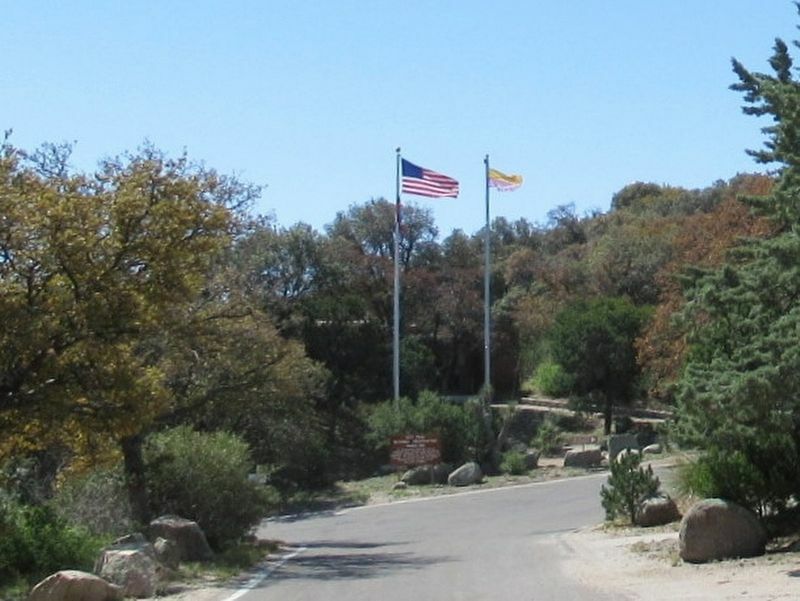 31° 57.542′ N, 111° 35.883′ W. Marker is in Tucson, Arizona, in Pima County. Marker is on Arizona Route 386 12 miles south of of W. Tucson-Ajo Hwy. (Arizona Route 86), on the left when traveling south. Touch for map. 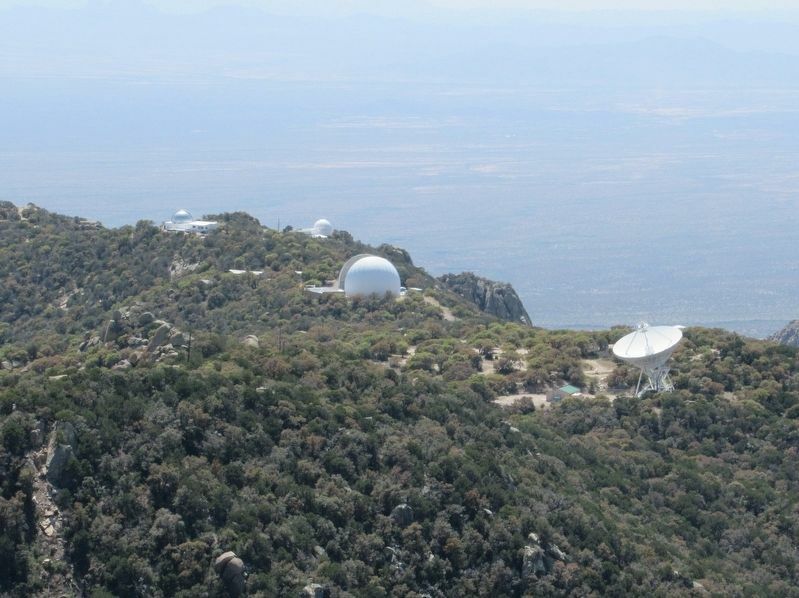 Located at Kitt Peak National Observatory in the Tohono O'odham Nation Reservation. Marker is in this post office area: Sells AZ 85634, United States of America. Touch for directions. Other nearby markers. At least 4 other markers are within walking distance of this marker. 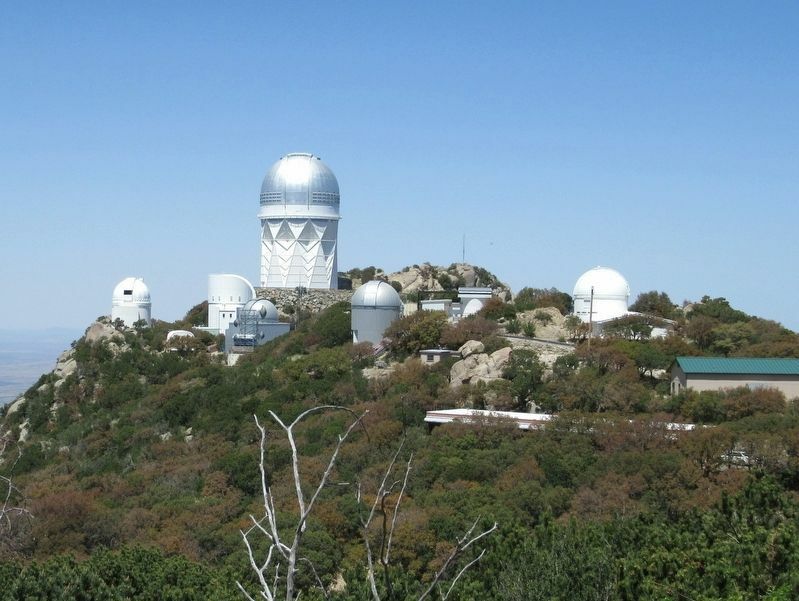 The McMath Solar Telescope (about 400 feet away, measured in a direct line); The WIYN Observatory (about 600 feet away); The Vacuum Telescope (approx. 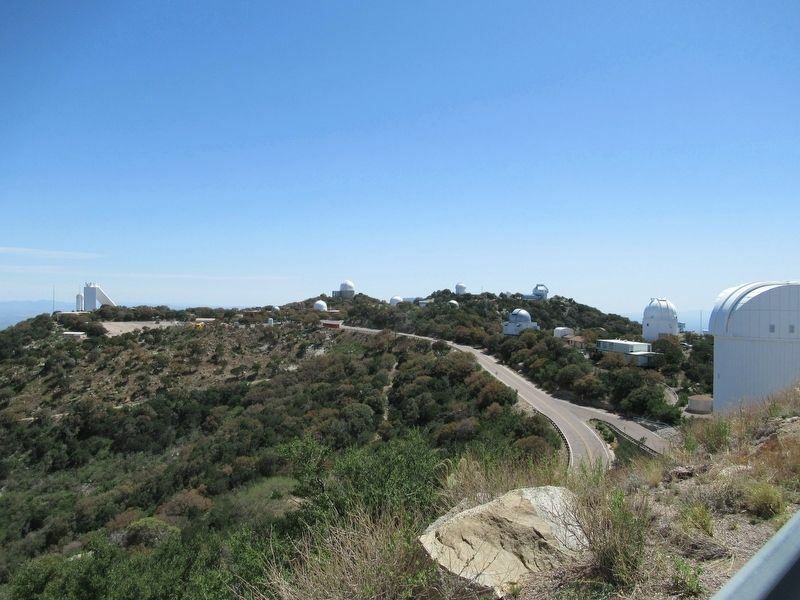 0.2 miles away); Steward Observatory (approx. ¼ mile away). More. 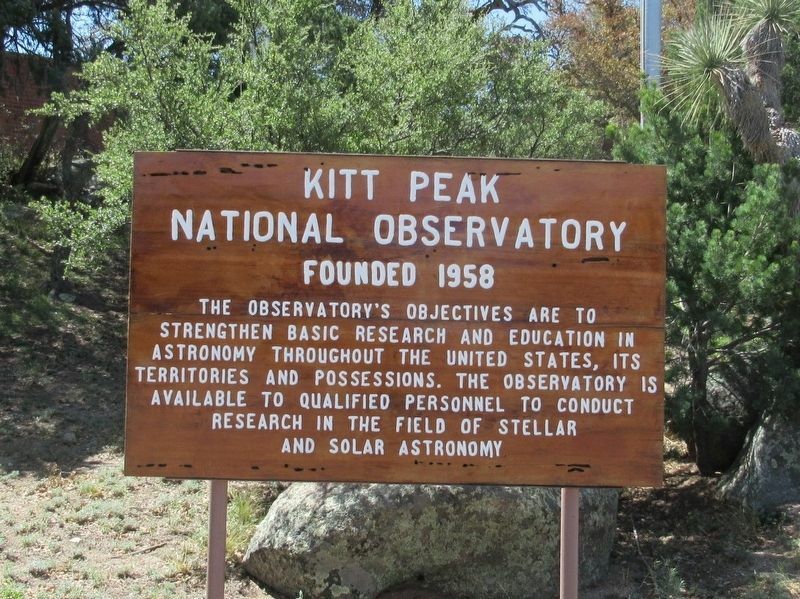 Search the internet for Kitt Peak National Observatory. Credits. This page was last revised on April 15, 2017. This page originally submitted on April 15, 2017, by Michael Herrick of Southbury, Connecticut. This page has been viewed 186 times since then and 6 times this year. Photos: 1, 2, 3, 4, 5. submitted on April 15, 2017, by Michael Herrick of Southbury, Connecticut.